Owing to the expertise of our skilled and experienced professionals, we are able to offer an extensive range of Rebar Bending Machine. 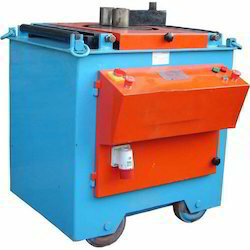 The offered bending machine is provided in various specifications to choose from. 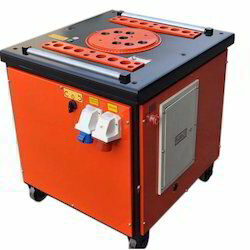 These bending machines are broadly acclaimed for their precise performance. The bending machine offered by us is also verified on various testing parameters in accordance with the quality standards. According to the diverse needs of our customers, we offer this bending machine at nominal rates. Our organization is well known in the business sector for the production and supplier of PRC 42 Rebar Cutting Machine to our regarded clients. Our firm specializes in wholesaling, trading, importing, and supplying our prestigious clients with an impeccable array of Bar Bending Machine. Fully automatic & has effective performance, the offered bending machine is designed utilizing the advanced techniques in conformity with the set market standards. 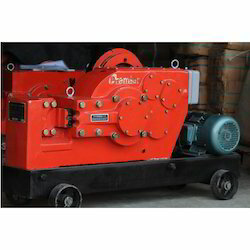 In order to serve all needs of our clientele, we provide this bending machine in several specifications. With the valuable assistance of a skilled team of professionals, we are offering an extensive range of Hydraulic Rebar Bender. In accordance with the concept of market standards, this rebar bender is designed utilizing the high-grade factor inputs and advanced technologies. 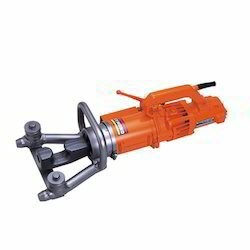 With the help of our professionals, we have been able to offer our clients a qualitative range of Rebar Bender Machine. 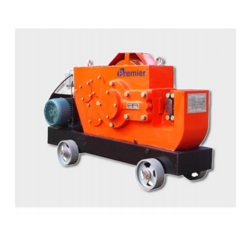 Known for high dimensional precision, robust construction and smooth surface finish, our vendor’s competent professionals use the best quality of components and latest techniques for designing this Rebar benders. Our offered bar benders & cutters can be availed by our clientele at feasible prices. Looking for Rebar Bender ?